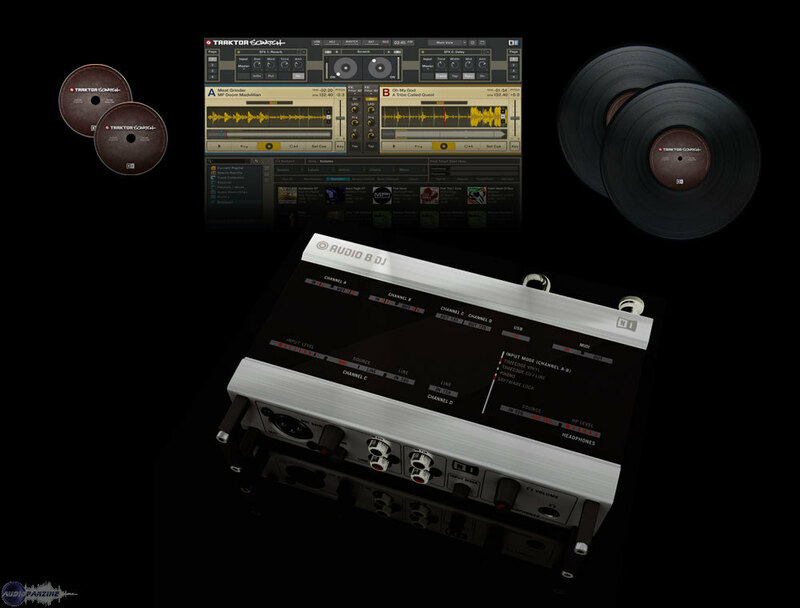 Traktor Scratch, Audio Interface for DJ from Native Instruments in the Traktor series. Product replaced by the Native Instruments Traktor Scratch Pro 2. Native Instruments has released TRAKTOR 3.4 and TRAKTOR SCRATCH 1.3. These are updates that equip both products with refined functionality that reinforces their position at the leading edge of computer-based DJing. In their latest versions, both TRAKTOR 3 and TRAKTOR SCRATCH are upgraded with architectural improvements as well as with enhanced time-code and MIDI control functionality. TRAKTOR 3.4 and TRAKTOR SCRATCH 1.3 now offer full Unicode support, allowing for file names and tags in nearly any international script and language including Japanese, Mandarin, Hebrew, Cyrillic and others. Both versions are also based on a revised high-performance audio engine that offers many functional advantages including hot-plugging and instant switching for audio interfaces, WASAPI support for Windows Vista and more. Other improvements in TRAKTOR 3.4 and TRAKTOR SCRATCH 1.3 include increased tracking precision for scratching in relative mode, a new intelligent "Tracking Alert" function that gives early warning for adverse conditions like worn-out needles, enhanced MIDI controller handling and a large number of detail optimizations and fixes. Both updates are now available as free downloads for all users of TRAKTOR 3 and TRAKTOR SCRATCH respectively. Stanton Magnetics C.324 Now Shipping The new C.324 features real-time sample and loop sequencing, beat synchronized samples and loops, and slot loading CD mechanism with LED for quick loading in low light situations. Allen & Heath Unveils Xone:4D Allen & Heath has selected the forthcoming Sound Recording Technology (SRT) show — part of the London International Music Show (LIMS) — to unveil the new Xone:4D performance DJ controller. Gemini PS-626EFX & PS-828x Gemini has unveilied their new PS-626EFX and PS-828x mixers.